Per Wikipedia, "In mathematics, a binary relation ... is transitive if ... element a is related to an element b and b is related to an element c then a is also related to c."
Per Me, if I am cool with you, and you are cool with your friend, then I'm cool with your friend. I've decided this is The Transitive Property of Friendship. As I try to mentor more and more people and help folks Level Up in tech, I'm realizing how important it is to #BeTheLuck for someone else. This is something that YOU can do - volunteer at local schools, forward that resume for your neighbor, give a Warm Intro to a friend of a friend. A lot of one's success can be traced back to hard work and being prepared for opportunities to present themselves, but also to Warm Intros. Often you'll hear about someone who worked hard in school, studied, did well, but then got a job because "their parent knew a person who worked at x." That's something that is hard to replicate. For under-represented folks trying to break into tech, for example, it's the difference between your resume sitting in a giant queue somewhere vs. sitting on the desk of the hiring manager. Some people inherit a personal network and a resume can jump to the top of a stack with a single phone call, while others send CV after CV with nary a callback. This is why The Warm Intro is so important. LinkedIn has tried to replicate this by allowing you to "build your professional network" but honestly, you can't tell if I'm cool with someone on LinkedIn just because they're connected to me. Even Facebook "friends" have changed the definition of friend. It certainly has for me. Now I'm mentally creating friend categories like work colleague, lowercase f friend, Uppercase F Friend, etc. Here's where it gets hard. You can't help everyone. You also have to protect yourself and your own emotional well-being. This is where cultivating a true network of genuine friends and work colleagues comes in. If your First Ring of Friends are reliable, kind, and professional, then it's safer to assume that anyone they bring into your world has a similar mindset. Thus, The Transitive Property of Friendship - also know as "Any friend of Scott's is a friend of mine." The real personal network isn't determined by Facebook or LinkedIn, it's determined by your gut, your experiences, and your good judgment. If you get burned, you'll be less likely to recommend someone in the future. I've been using this general rule to determine where and when to spend my time while still trying to Lend my Privilege to as many people as possible. It's important also to not be a "transactional networker." Be thoughtful if you're emailing someone cold (me or otherwise). Don't act like an episode of Billions on Showtime. We aren't keeping score, tracking favors, or asking for kickbacks. This isn't about Amazon Referral Money or Finder's Fees. When a new friend comes into your life via another and you feel you can help, give of your network and time freely. Crack the door open for them, and then let them kick it open and hopefully be successful. All of this starts by you - we - building up warm, genuine professional relationships with a broad group of people. Then using that network not just for yourself, but to lift the voices and careers of those that come after you. What are YOUR tips and thoughts on building a warm and genuine personal and professional network of folks? I wholeheartedly agree with this! I'd say that knowing your stuff is equally as important as knowing (the right) people. For those getting started especially; it isn't always what you know but who you know. I got my first dev job because my brother got me a job doing tech-support at a dev shop. One of the devs there moved on to another job and found himself needing a jr.
My younger brother got his first *good* dev job because somebody kept trying to hire me but I was happy where I was at. I asked if he needed a jr dev and eventually he did. One of my co-workers got his start because his mom somehow knew my boss through another connection. Great encouragement to build up the industry with worthy people. Along the same lines, this article has given me food for thought on one aspect of this luck thing. Anxiety disrupts our ability to take notice of the unexpected, thus missing chance opportunities (and luck). The lucky introduce and stir variety into their lives, increasing probability of chance opportunities. The lucky heed their intuition. The lucky create self-fulfilling prophesies via positive expectations. The lucky have a resilient attitude that transforms bad luck into good. Couldn't agree more, thanks for sharing Scott. I've found this especially more relevant when working in larger orgs, where your ability to navigate and influence, and help others, can really be scaled by the quality of your friends network. I agree with your article. Having a nice introduction that would establish a good or solid relationship is very important. 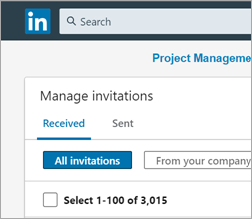 My problem with LinkedIn, for example, is that I am receiving connection requests from the people who boast with having 1000+, 3000+, etc+. contacts. It is not the point of just adding (hoarding) connections, but you must make time to communicate with people. You cannot expect a valuable rapport from these connections. There must be a point where you have to say "this is about enough contacts for me. ", or you just have to be very picky who you add as your contact. i agreed with you scott, establish a healthy relation is very important, it may be Family, friends or wife. mothers day is on next month.